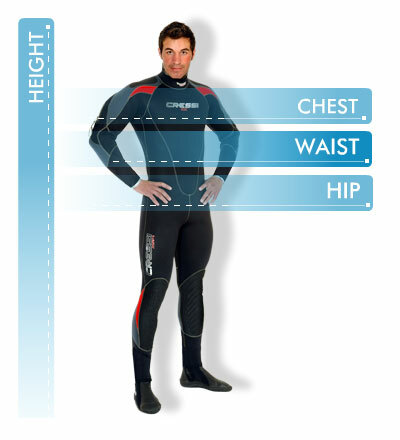 The Cressi Lontra Plus Wetsuit for Men is a 7 mm semidry wetsuit made from a premium ultrastrech neoprene. This one piece wetsuit is ideal for temperate and cold water temperatures of 10-18°C (50-64°F). The suppleness of the 100% high stretch neoprene material, combine with the zips at the ankles and wrists, plus the generous opening at the front enhanced by the front collar zip and the back provided by the vertical watertight zip, to allow the user to put on and take off the suit with particular ease. The vertical rear T-Zip Masterseal dry zip keeps your back dry, and has a protective cover. The shoulders and knees have generous, personalised, reinforced anti-wear pads.